What better time to work on developing a new product than when you are stuck at home in the middle of a snow storm! One of my goals for Pogibabies this year is to develop at least 2 new items. 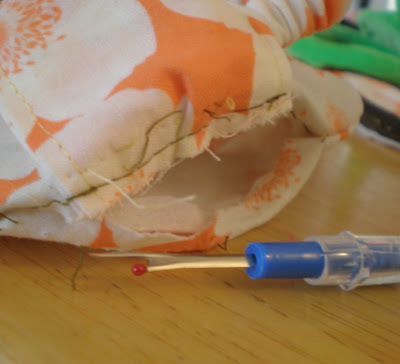 For me, this means endless trial and error: Sew, rip apart, repeat. I go through this process several times before I come up with my end product. So during the most recent storm I armed myself with my seam ripper and embarked on a new project. 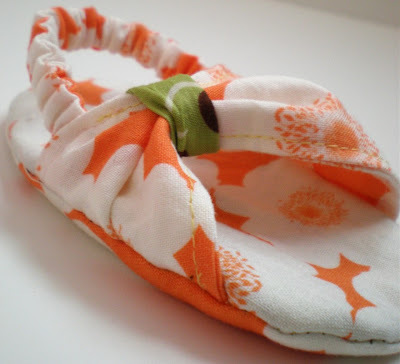 My goal: an open toe baby sandal. 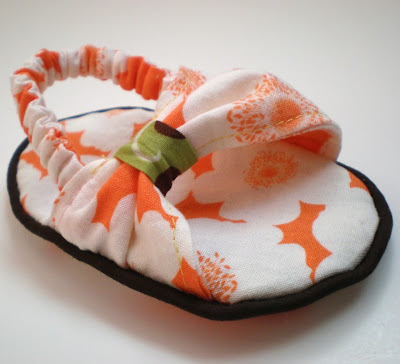 I basically just revised my soft shoe pattern to make my new idea come to life. My sewing tip: I make my pattern pieces from a medium weigh sew-in interfacing. It lasts through repeated pin placements, and a marker traced on top of the pattern will permeate slightly onto the fabric underneath. Makes for a quick and easy way to mark placements onto your fabric pieces. My first attempt was o.k, but looked very un-finished to me. By adding some piping to the sole, I got the finished look that I needed. It took a couple more attempts at the placement of various parts, but in about 2 hours I had my finished open toe sandal pattern. Now it's time to move on to the other 2 products that I have in mind to be developed. Maybe we’ll have another snow storm to motivate me! Where were you when my girl was little? These are wonderful. The perfect foot gear for indoor winter days.